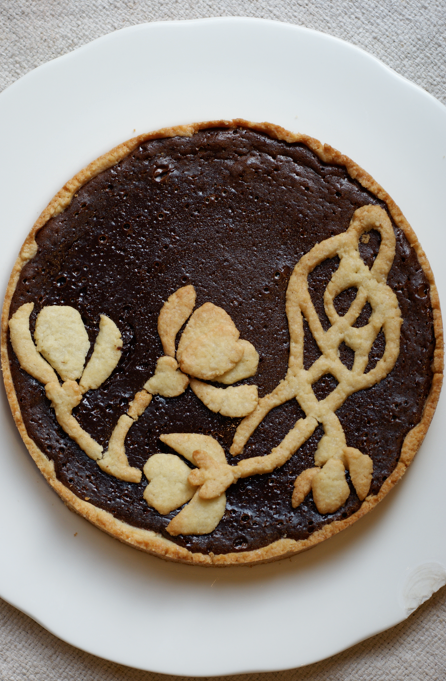 WOW your final crostata is so astounding I just LOVE the pastry design it is so beautiful and so so elegant!!! Fabulous result great effort. Cheers from Audax in Sydney Australia. Me too, love the design on top and the filling sounds delicious, too. It looks beautiful. And who can say no to chocolate? Yum! Gosh...that is so pretty! You know I would just LOVE that lattice...right up my street! Gorgeous! What a gorgeous design on top! I bet this was delicious as well as beautiful, with that rich chocolate filling. That pastry design is amazing! 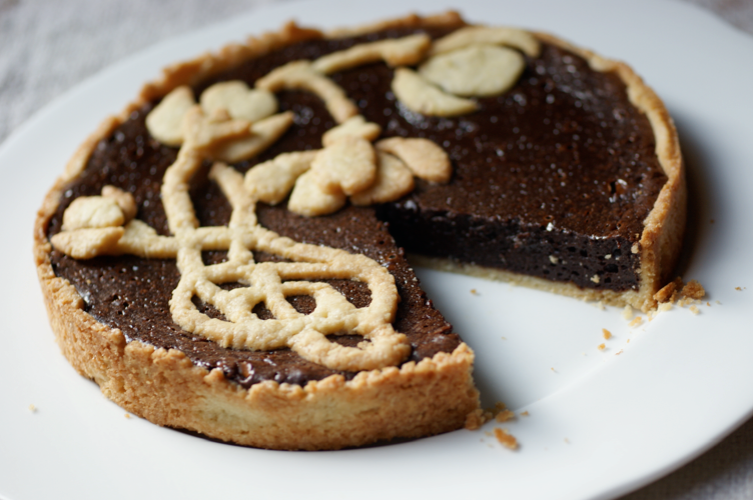 I really wanted to do another crostata with a chocolate filling but I didn't get around to it. This one looks great. Well done! As a chocoholic, I am perfectly content with your chocolate filling. The decoration looks nice too. 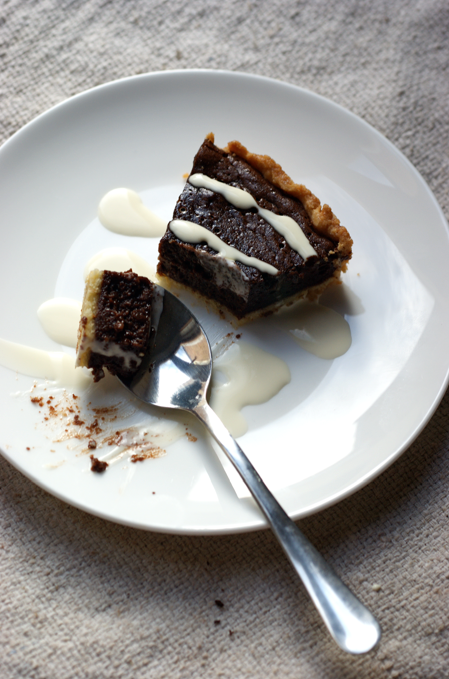 Your crostata looks beautiful! I love your crust work. Nice job on the challenge! What an original and elegant design for the top of the tart. I love that it has a 3-D effect. Yours is one of the most eye-catching chocolate tarts I've ever seen. You thought a lattice was difficult and this art deco design was easy? Wow!!! 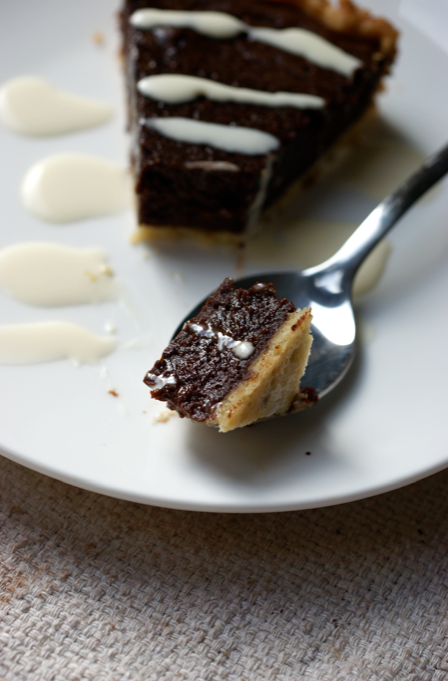 Love the truffle filling! So yummy! I was glad that was a pie for this Challenge too. I think November is a busy month for everyone! Chocolate truffle filling? Yum!! I love this! Great job on this challenge! When do you start cooking school? I can't remember if you decided on Patisserie or All round cooking. That's so elegant! 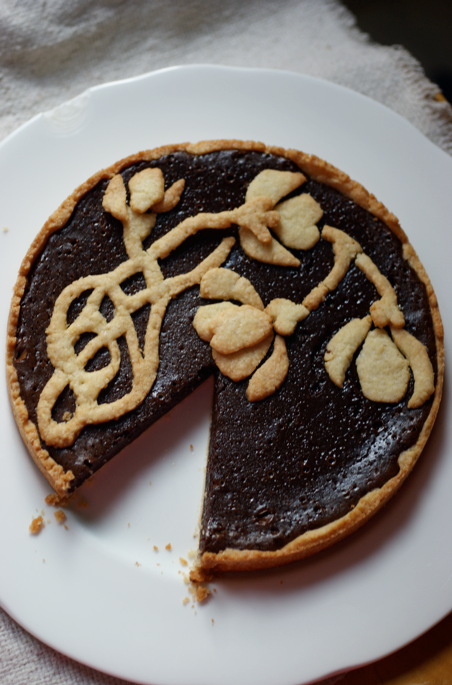 I love the idea of a little drawing in pastry, it's wonderful.